Scott Donald has 30 years experience training working and family dogs both here and overseas, successfully training more than 10,000 dogs of all breeds. During this time, he has developed the SOX Method, a simple dog training system which is so effective, Scott guarantees* his training for the life of the dog. 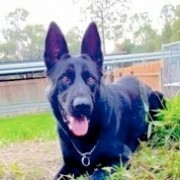 Scott is located at Berrinba, half way between the Gold Coast and Brisbane, but people regularly send Scott their dogs from all over Australia to train. Many claim Scott transforms their relationship with their dog. Scott is passionate about providing fantastic service to pet dog owners…. going above and beyond to inform, educate and support the dog owner. Scott's whole purpose is to provide dog owners with the complete confidence to maintain a happy, healthy and obedient dog now and into the future. Scott has worked with just about every breed there is – from poodles to Rottweilers. 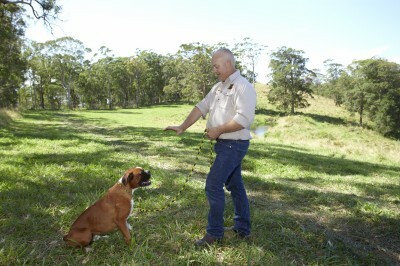 Scott provides a handover lesson to the dog's owner at the end of his training. In 30 years, Scott has only had to repeat the handover lesson 5 times. Scott's SOX Methodology – which is the basis of Scott's best selling APP K9 Master Class Training Basics – is so successful Scott guarantees* his training for the life of the dog. "Scott told us he could fully obedience train Bailey in a week and a half. We didn't believe him of course, but we'd heard several people speak really highly of Scott, so we gave it a go. "The dog we got back was totally transformed. It was almost like she'd been swapped with another dog. She's just so well behaved now and still is after 2 years – from the moment Scott dropped her off, she would do everything – sit, heel and walk. "We're so glad we sent Bailey to Scott - I just don't think you could do better."